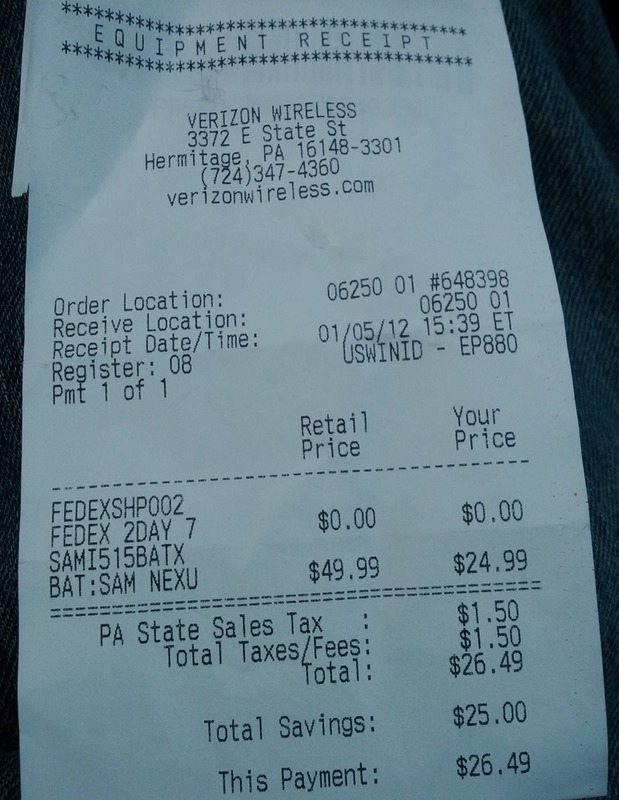 One of our readers popped into a Verizon store this afternoon and was able to grab 2100mAh extended Galaxy Nexus battery for the discounted $24.99 price that many of you took advantage of a couple of weeks ago. According to his receipt, it looks like the store did not actually have them in stock, but was able to order them from a VZW warehouse, hence the “FEDEX 2DAY” line on there. These puppies are almost impossible to find an any online retailer, so if you did not have a chance to grab one before the holidays, you may want to call or swing into a store and see if they can order you one from the warehouse. At 50% off, this is a deal you do not want to pass on.